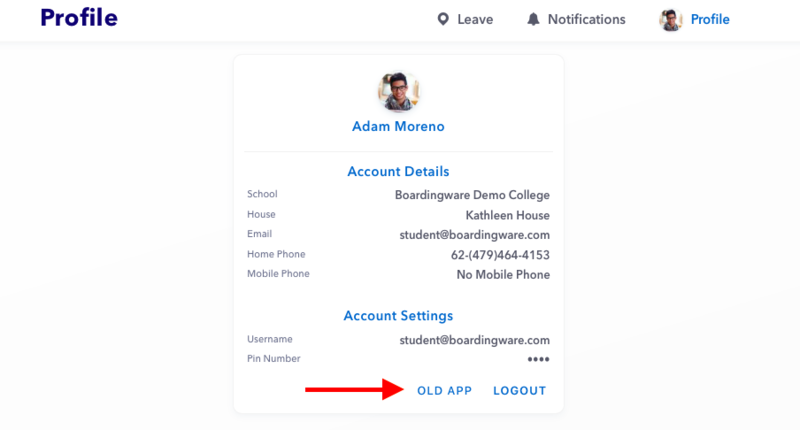 You will now be working on the previous version of the Boardingware Student App. NB: We will eventually be phasing this version out. Please let us know if you have any questions about using the latest version.